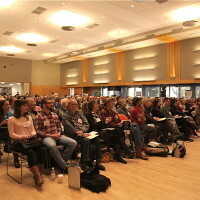 A small house doesn’t have to be crowded, spartan or “simple.” One of the goals of the Build Small Live Large Summit is to show people that homes under 1,000 square feet can not only save them money and lighten their environmental footprint, but be fantastically-designed as well. Here are some small home designs we’ve been enjoying lately. Rainbow Valley’s Krause Cottage is just under 600 square feet, but an open floor plan and high ceilings give it a remarkably spacious feel. 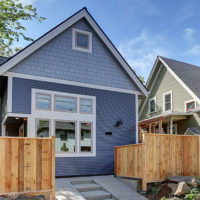 ADUs typically have a size maximum, and though designing within a limited number of square feet might seem constraining at first, ADU designers, owners and residents often find that the initial challenge gives way to beautiful and flexible spaces they wouldn’t have imagined otherwise. 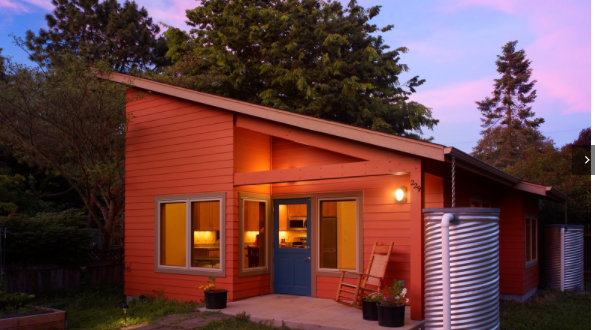 Rainbow Valley has found a niche among small homes and cottages, and they’re one of the smart, progressive companies sponsoring the Summit. Visit their website to see more small home photos. And what about the constraints of designing a home on a flatbed trailer? Many tiny homes on wheels are between 100 and 300 square feet, including the sleeping lofts that often serve as a partial second floor. 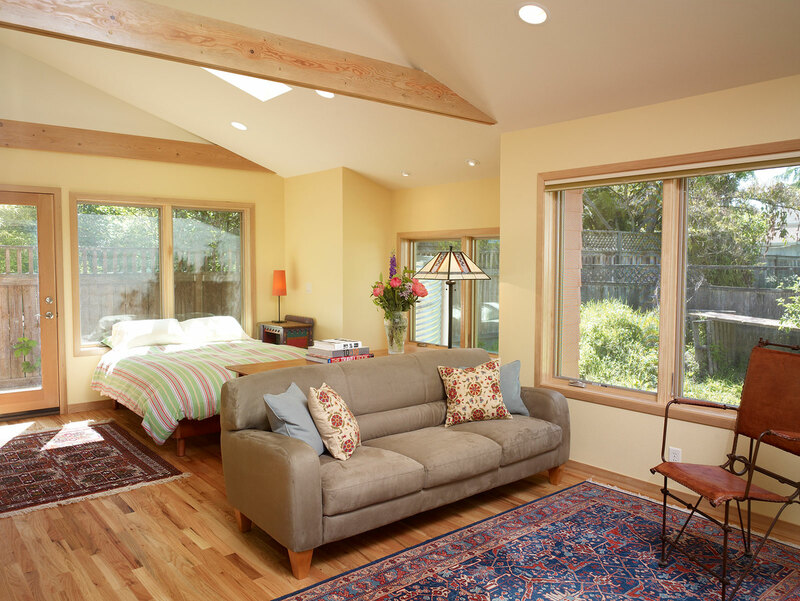 Good designers are always finding new ways to work with space – even a really small space. This tiny house by Portland designer and builder Shelter Wise is a modern spin on a tiny home on wheels, including this sleeping loft with a skylight that would keep anyone awake stargazing. 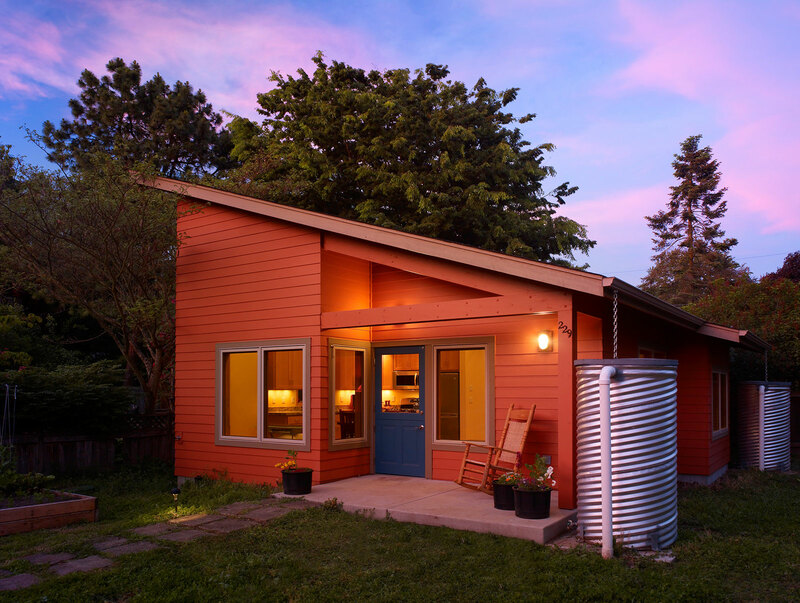 Derin Williams from Shelter Wise will be speaking on the Build Small Live Large session “Growing Smaller: Three Case Studies.” Visit Shelter Wise online for more photos of their striking tiny homes on wheels. Want to see many more great small home designs, and meet the creative designers and builders who made them? 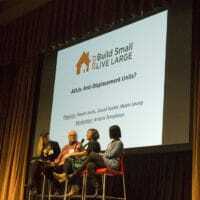 Register now for the Build Small Live Large 2015 Summit!